If you're on the hunt for the dress, look no further than Moda Operandi. 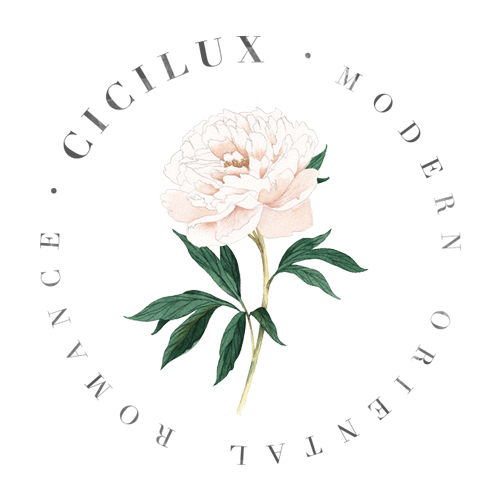 In homage to the history of couturiers who showcased their creations in trunks to elite clientele, Moda Operandi is the only online retailer to invite clients to preorder next-season's looks straight from the runway. We're here to help you navigate the bridal trunk show, and this seasons hottest bridal trends. So, what is a "trunk show", anyway? A trunk show is a special event in which a bridal salon features a particular designer's collection. The bride has a unique opportunity to view and try on wedding dresses straight off the runway before they are available in stores as well as styles from previous seasons. A trunk show is a special event not to be missed and offers brides a very exclusive and fun experience along with many benefits! As you're choosing from styles that have literally just come off the runway, the chances of you finding the one whilst knowing that it will be your own, unique selection, is exactly how shopping for your dress should be. And what trends should you be looking for this season? Well, as with all choices for your big day, the most important part is that you stay true to yourself. We've hand-picked our favourite trends whilst keeping budget in mind. The Modern Muse is for the gentle-hearted, dreamy romantic in you. Think big ruffles, flowy fabrics and off-whites, teamed with fine jewellery and soft hair and make up. We adore this trend for an Autumn wedding. 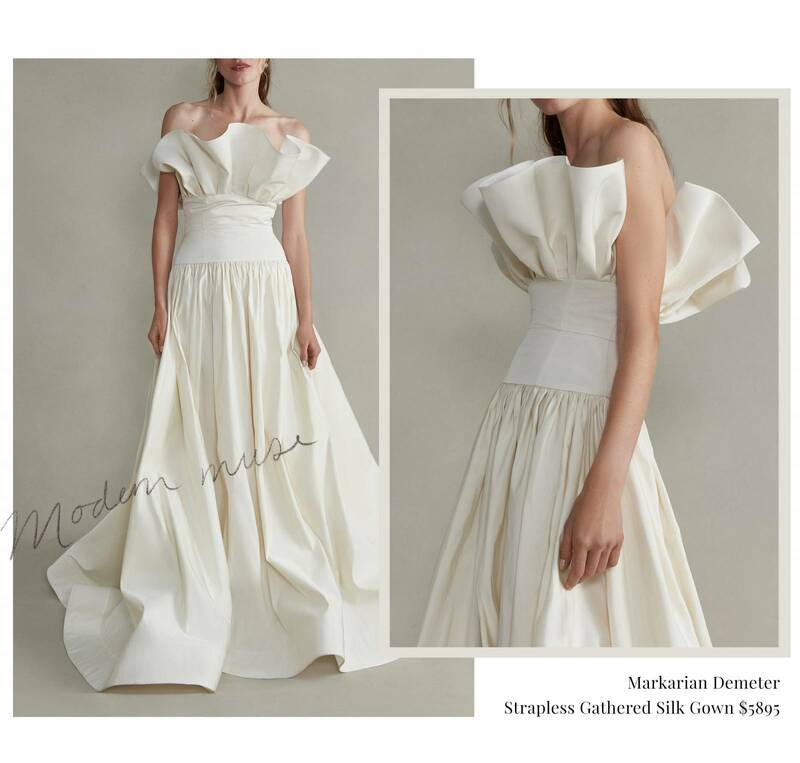 This Markarian Demeter Strapless Gathered Silk Gown ($5895) is the perfect pick. 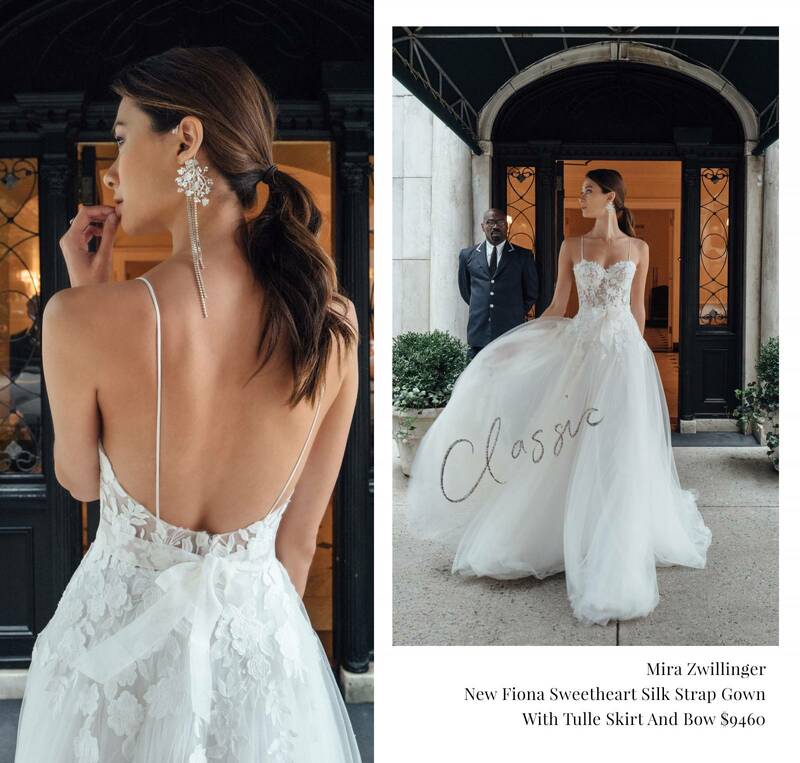 This Mira Zwillinger New Fiona Sweetheart Silk Strap Gown With Tulle Skirt And Bow ($9460) is the pick for your if you're a classic girl. Think tulle skirts and dreamy lace, maybe with a touch of modern with delicate embroidery. If you're hosting a black tie event, this would fit in nicely. An up-do and a few pieces of statement jewellery, and you're set. If you're a true dreamer, you can't go past the fairytale of Vera Wang. This being the dream dress for many, Vera surely knows how to combine fabrics, shapes and tones to create the dress of your wildest dreams. The 2019 collection does not disappoint, with golden hues, delicate details and queen-like silhouettes. Shop the collection straight off the runway here. Now, if your day is all about the extra, a statement dress is where you want to go. A one-shoulder number will always get the attention, and the more dramatic the shoulder, the better. We are absolutely head-over-heels over this Carolina Herrera Bridal The Fernanda One Shoulder Silk Gown ($5290). Pair this back with subtle accessories and slicked back hair for maximum effect. When it comes to accessories, all of these trends call for the "less is more", but we can't help but go past a great heel or a statement earring. Keep your picks in-tone with your dress, and remember to keep things true to your personality.